Aunt Mag's Adventures in Quilting: Aunt Mag's Quilting Adventure expands to a Genuine Quilt Shop! Aunt Mag's Quilting Adventure expands to a Genuine Quilt Shop! We're busy changing so many things ... for me it's the commute ... Now, let me pause here to say that ALL of this is a blessing! It's is a total gift from God, for which I am incredibly thankful. We knew we had outgrown our little spot - and this move is His timing. Having said all that - it is change! Everyone knows change is, well, change. So back to that commute . . . don't feel sorry for me (LOL!) it takes all of 4 minutes. Not even long enough to finish my second cup of coffee along the way. HA! Only God could orchestrate a fabulous commute like that. And it feels wonderful!! Next blessing: The community of Central - the little town of 30,000 souls that I live in has been so supportive! Seems it's been about 20 years since we had our very own quilt shop and the word is on the street! Cell phones are buzzing! 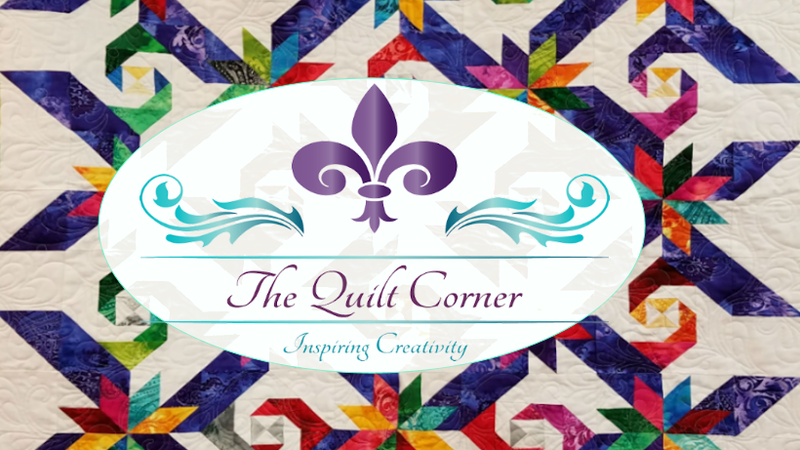 So, we opened our store ... a HUGE step of faith and then, because quilters are a little crazy, we hosted our first event this weekend, less than 2 weeks after the move ... and I am so thankful to the quilters in the Greater Baton Rouge area and beyond for making our event a success. We had a lot of fun with our HandiQuilter educator, Elaine Gilmore as we learned interesting ways to get those quilts finished. 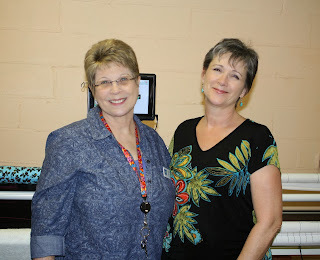 We topped it off with a class on the Handi Quilter Pro-Stitcher - which was a resounding success. Of course, we'll do this again. It was fun and I'm sure that the quilters who attended still have all they learned spinning in their heads. Now .... my fabulous team will have to get to work planning more great events, classes and just plain ole FUN for all who visit us!